The Caribbean fruit fly, Anastrepha suspensa, is a member of the fly family Tephritidae, which contains some of the most destructive fruit pests in the world. 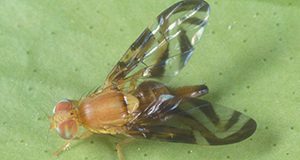 This 4-page fact sheet written by Amanda Coleen Hodges and Cory Penca and published by the UF/IFAS Department of Entomology and Nematology provides information about the biology and management of the Caribbean fruit fly. 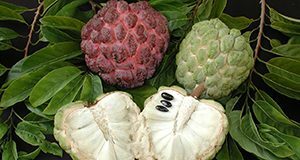 Because of the growing interest in alternative tropical fruit crops to diversify farm income, this 6-page fact sheet written by Fredy H. Ballen, Aditya Singh, Edward Evans, and Jonathan Crane and published by the UF/IFAS Food and Resource Economics Department offers an estimate of costs and returns associated with operating an established sugar apple orchard in south Florida. Purple Martins are highly social, cavity-nesting birds. In the Eastern United States, a shortage of natural housing options has left these fascinating and attractive birds completely dependent on man-made housing. 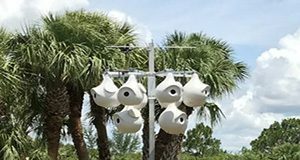 Author Holly K. Ober tested seven commercially available martin houses to determine what is best for martins in north Florida and provides recommendations in this 4-page fact sheet published by the UF/IFAS Department of Wildlife Ecology and Conservation. The main source of risk in crop production stems from the unpredictable nature of weather, pests, diseases, etc. 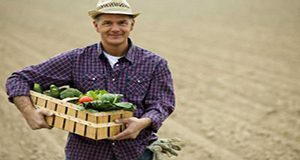 By purchasing crop insurance, the farmer transfers part of the risk to an insurance company in exchange for paying a premium (which is the cost of purchasing crop insurance). 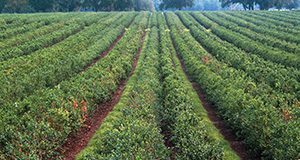 In this 6-page fact sheet published by the UF/IFAS Food and Resource Economics Department, authors Robert Ranieri and Ariel Singerman describe and provide examples for the two main crop insurance policies available for blueberry farmers in Florida. Blueberry gall midge is a small fly native to North America that feeds on blueberries and cranberries. It can be found throughout the United States, including Florida, where its larvae feed on southern highbush blueberry and rabbiteye floral and vegetative buds. 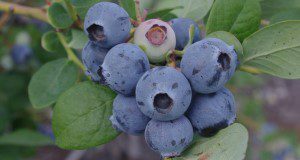 Reports of blueberry gall midge damage on southern highbush blueberry in Florida have become more common in recent years, in some cases significantly impacting yield where there was severe feeding damage to floral buds. 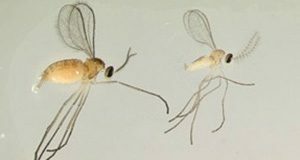 This 3-page fact sheet written by Oscar Liburd and Doug Phillips and published by the UF/IFAS Department of Entomology and Nematology will inform growers how to scout for, identify, and control blueberry gall midge. A small nematode worm commonly referred to as a ?microworm? has been a staple live feed used in the ornamental aquaculture industry for over 50 years. These worms are small enough to be ingested by the larvae of many commonly cultured ornamental species, and their production methods are simple and reliable. 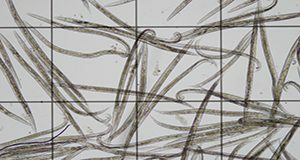 Microworms have the potential to provide appropriate nutrition in a live feed organism that is cultured entirely in-house and involves less labor and cost than newly hatched Artemia. In this 4-page fact sheet published by the UF/IFAS School of Forest Resources and Conservation, Program in Fisheries and Aquatic Sciences, authors Shane W. Ramee, Taylor N. Lipscomb, and Matthew A. DiMaggio discuss the biology, environmental requirements, and culture techniques for microworms and explain their importance for the larval culture of freshwater fish species. 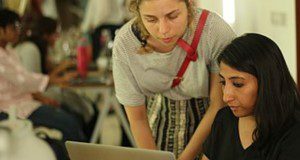 Extension is an important change agency, and Extension professionals use innovative strategies to help target audiences to adopt research-based practices and technologies. Tools from commercial marketing can be applied to behavior-change campaigns, often through an underused approach known as social marketing. Journey maps can be developed with Extension clients to provide insight into their progression and decision-making from one place or state of being to another. A journey can be the steps a person takes when selecting plants for the landscape, the decision-making process used when identifying agricultural business strategies, or the steps a person takes when leaving a workshop and travelling to their home. 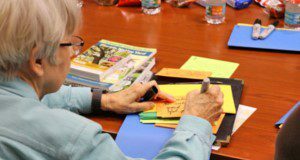 This new 9-page publication of the UF/IFAS Department of Agricultural Education and Communication, written by Colby Silvert and Laura A. Sanagorski Warner, presents possible applications of journey mapping within an Extension context. 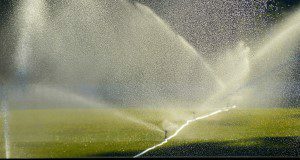 In the United States, landscape irrigation often consumes 50% or more of residential water used, and aesthetics may take preference over water-conserving elements in the landscape. Other factors such as perceived social norms and homeowners' association (HOA) regulations also impact water conservation behaviors. Binary logistic regression estimated the impact of aesthetics, perceived social norms, and HOA regulations on water conservation intentions. 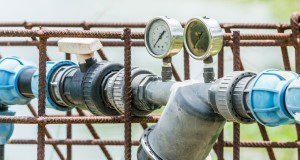 Findings revealed that when individuals placed a higher-than-average value on aesthetics and perceived stronger social support for conservation, home irrigation users had greater intent to conserve water. This new 4-page publication of the UF/IFAS Department of Agricultural Education and Communication was written by Amanda D. Ali and Laura A. Sanagorski Warner. This 6-page publication’s purpose is to educate master gardeners and homeowners about the principles of soil health as well as practices that harm or nurture soil health at the residential scale. It also includes a description of the soil food web and the microorganisms that comprise it. This new publication of the UF/IFAS Department of Soil and Water Sciences was written by Sally Scalera, Alexander J. Reisinger, and Mary Lusk. 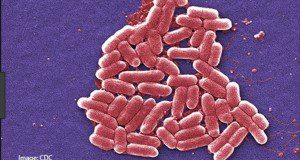 Cyclosporiasis is an intestinal illness caused by the microscopic parasite Cyclospora cayetanensis. People can become infected with Cyclospora by consuming food or water contaminated with the parasite. 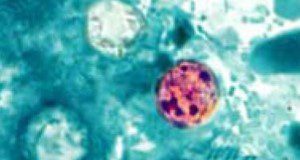 People living or traveling in countries where cyclosporiasis is endemic may be at increased risk for infection. This 6-page publication is part of the Preventing Foodborne Illness series and describes symptoms and strategies for cyclosporiasis prevention for farmers, restaurants and retailers, and consumers. This major revision was written by Christopher R. Pabst, Jaysankar De, Renée Goodrich-Schneider, and Keith R. Schneider and published by the UF/IFAS Food Science and Human Nutrition Department. Good agricultural practices (GAPs) and good handling practices (GHPs) encompass the general procedures growers, packers, and processors of fresh fruits and vegetables should follow to ensure the safety of their product. GAPs usually address preharvest practices (i.e., in the field), while GHPs cover postharvest practices, including packing and shipping. This 3-page fact sheet covers the GAPs of transporting crops. This major revision is a part of the Food Safety on the Farm series and was written by Christopher R. Pabst, Jaysankar De, Alina Balaguero, Jessica Lepper, Renée Goodrich-Schneider, and Keith R. Schneider and published by the UF/IFAS Food Science and Human Nutrition Department. Good agricultural practices (GAPs) and good handling practices (GHPs) encompass the general procedures growers, packers, and processors of fresh fruits and vegetables should follow to ensure the safety of their product. GAPs usually address preharvest practices (i.e., in the field), while GHPs cover postharvest practices, including packing and shipping. This 7-page fact sheet covers GAPs and GHPs relating to water use. This major revision is a part of the Food Safety on the Farm series and was written by Jaysankar De, Christopher R. Pabst, Jessica Lepper, Renée Goodrich-Schneider, and Keith R. Schneider and published by the UF/IFAS Food Science and Human Nutrition Department. 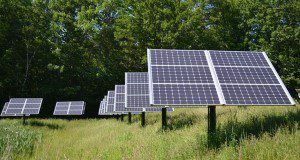 In this new 4-page publication from the Environmental Horticulture Department, Edmund Lee Thralls presents a basic method of how to construct a solar-powered water feature in your garden. Botryosphaeria stem blight is the most common and damaging fungal vascular disease on southern highbush blueberry in the southern United States, causing stem and cane dieback and reductions in yield. 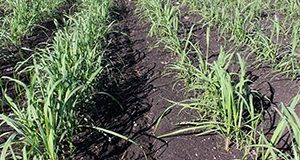 Advanced stages of this disease may cause premature plant death, which results in significant replanting costs for growers. Biotic or abiotic stresses from a variety of sources can make plants more susceptible to infection by stem blight pathogens. 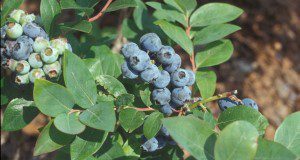 This new 5-page publication is intended for Florida blueberry growers to use as a guide in the identification and management of Botryosphaeria stem blight on southern highbush blueberry. Written by Norma C. Flor, Douglas A. Phillips, and Philip F. Harmon and published by the UF/IFAS Plant Pathology Department. Higher education institutions are currently tackling a growing number of organizational challenges that have forced departments to evolve their business practices. Administrators faced with the need for more diverse programs must decide whether to develop talent internally or recruit new qualified candidates. 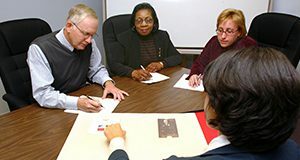 Given the great cost of faculty searches and the perceived diminishing availability of talented applicants, it is imperative that administrators understand the value of mentoring relationships to fill openings with qualified candidates. However, formal mentoring programs have been slow to develop in higher education institutions. This new 4-page publication defines mentorship, explains the value of mentorship, and describes how mentoring programs can be established. Written by Jonathan M. Orsini, Matthew P. Benge, and Hannah S. Carter, and published by the UF/IFAS Department of Agricultural Education and Communication. 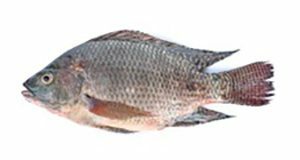 Tilapia lake virus is a globally emerging virus responsible for episodes of mass mortality in cultured and/or feral tilapia (Oreochromis spp. and hybrids) in Asia, Africa, Central America, and South America. Since 2014, there have been global reports of TiLV disease resulting in 10% to 90% mortality in tilapia fry, juveniles, and adults causing significant economic losses. Currently, the disease has been confirmed in Colombia, Ecuador, Egypt, India, Indonesia, Israel, Malaysia, Mexico, Philippines, Peru, Tanzania, and Thailand. TiLV has not yet been found in the USA or Canada, but it has most recently been reported in 20 aquaculture production facilities across six Mexican states (Chiapas, Jalisco, Michoac�n, Sinaloa, Tabasco and Veracruz). This 7-page fact sheet written by Lowia Al-Hussinee, Kuttichantran Subramaniam, Win Surachetpong, Vsevolod Popov, Kathleen Hartman, Katharine Starzel, Roy Yanong, Craig Watson, Hugh Ferguson, Salvatore Frasca Jr., and Thomas Waltzek and published by the UF/IFAS School of Forest Resources and Conservation, Program in Fisheries and Aquatic Sciences describes this important emerging disease and explains how to prevent outbreaks and what to do if you suspect TiLV in an aquaculture facility or in the wild. This new 5-page fact sheet provides basic information as well as yield and disease information for CPCL 02-0926 and CP 05-1526 to assist growers in selection and management of these cultivars. Written by Hardev Sandhu and Wayne Davidson, and published by the UF/IFAS Agronomy Department, February 2019. All eight species of Bidens in Florida are commonly referred to as Spanish needles or beggar-ticks. 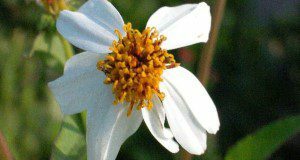 This document focuses on Bidens alba and B. pilosa, which are common weeds in container nurseries and landscapes in Florida. This 6-page EDIS publication, written by Yuvraj Khamare, Chris Marble, Shawn Steed, and Nathan Boyd and published by the UF/IFAS Environmental Horticulture Department, is designed for landowners, gardeners, horticulturalists, and consumers hoping to learn more about Spanish needle classification and management.